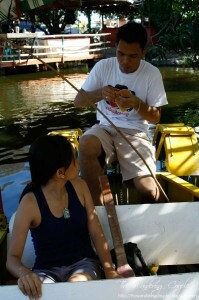 This is a late post about our hook fishing adventure at Cebu Wetland Resort last May. We were there for a double celebration — our 18th monthsary and Mother’s Day. Edcel invited his mother to join us and Edcel’s sisters tagged along. 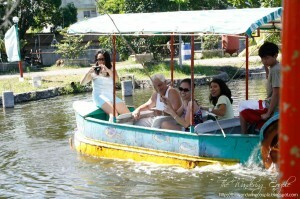 Cebu Wetland Resort is the only inland resort in the heart of Cebu City. 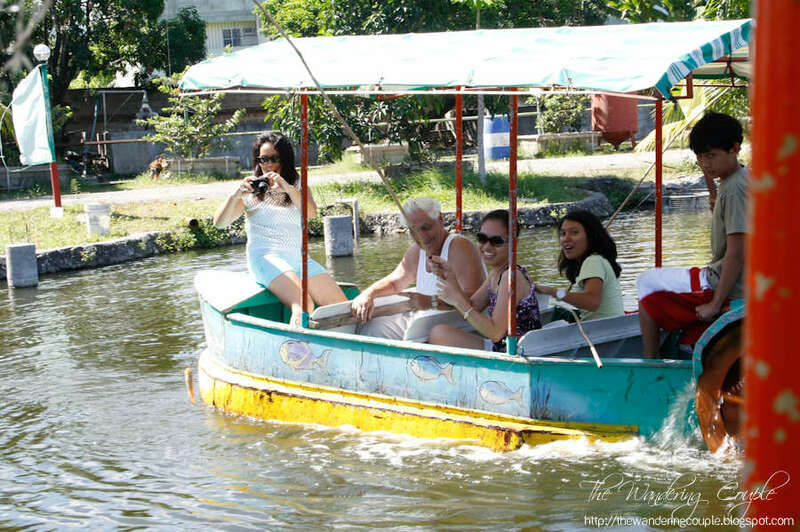 Cebu Wetland Resort also gives you a different feel of a highly urbanized city in Cebu. 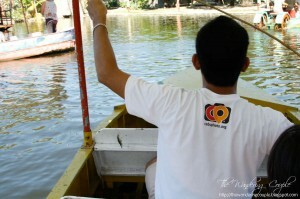 Cebu Wetland Resort is a pond in the city! 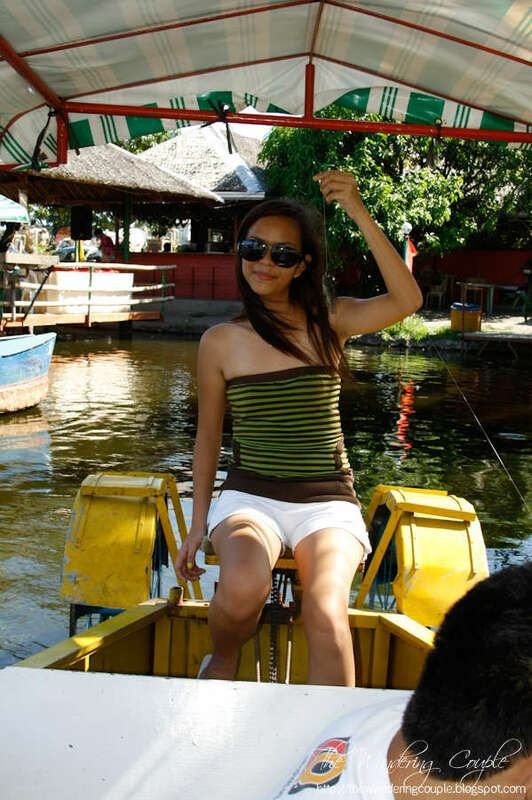 It is located in Tagunol, Basak Pardo, Cebu City. 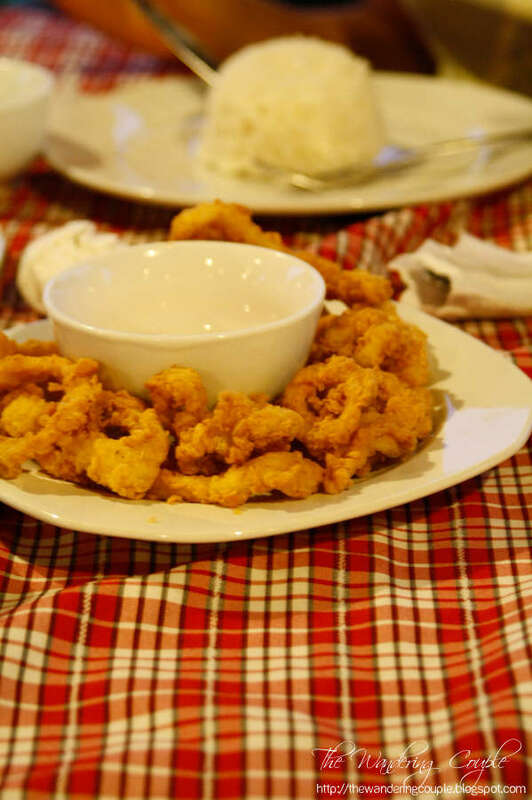 If you plan to drive your own car, you can drive all the way to Basak, Pardo and upon reaching Cabreros, just ask the people around about the place. If you want travel using public transit, just go to Colon, Cebu City and wait for jeepneys with route number 11A. That jeepney route will pass by Cebu Wetland so you can never go wrong. If you plan to hire a taxi, just tell that driver that the place is in Cabreros, Basak. A panoramic shot of Cebu Wetland’s pond and restaurant. Click for a larger view. When we finally arrived at the resort (Edcel forgot to take a picture of the entrance), I was not really impressed nor should I say, I was disappointed by the things seen at the entrance. Big or heavy equipments parked, dirty surroundings, I can say. It looked to me like a converted hacienda or an abandoned mine. Then I realized, that the resort is owned by an Engineer/Contractor that is why there were heavy equipments parked near the entrance. 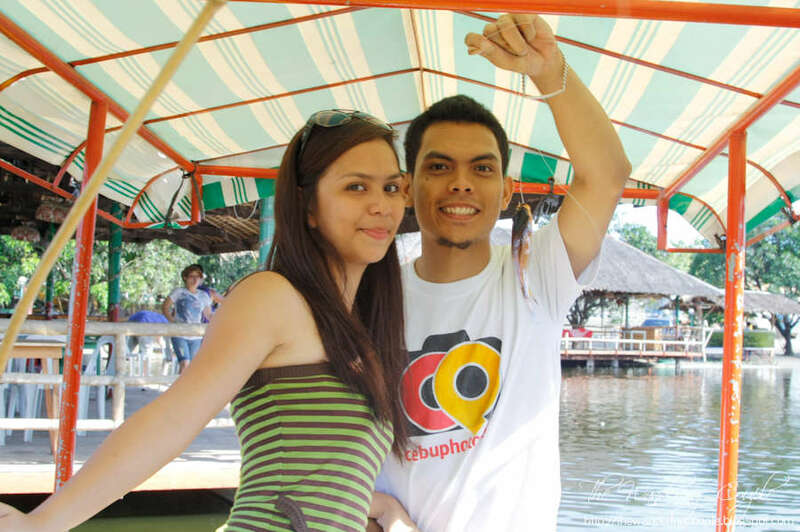 The resort has a big man-made fishpond stocked with tilapia and catfish. 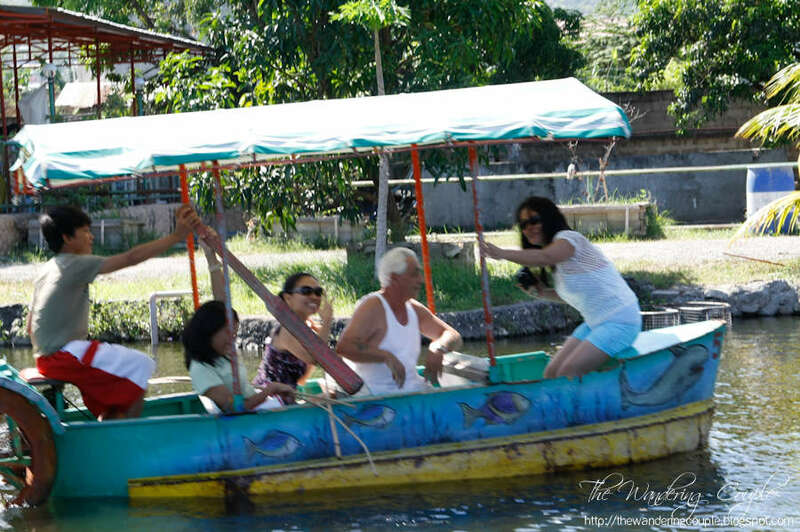 To hook fish, you can either ride in a pedal-paddle boat for 50php or you can even stay at their floating restaurant and pay for another 20php for the fishing rod and worms. 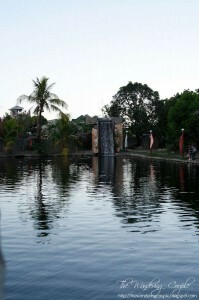 Other than that, they also have a swimming pool for 100php entrance fee. And affordable rooms to stay overnight. And they do also have a kangkong and mango farm. 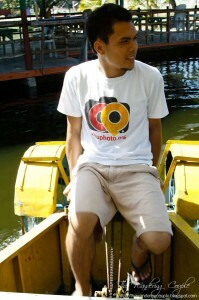 I enjoyed driving the pedal-paddle boat for which I could maneuver the route within the pond. 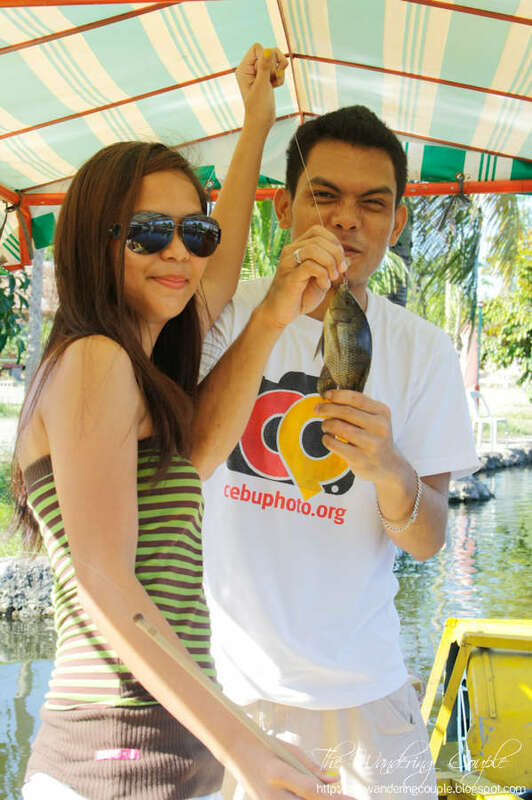 We also enjoyed fishing especially if we caught big tilapia. I was anxious to catch a fish as it was my first time to do so. 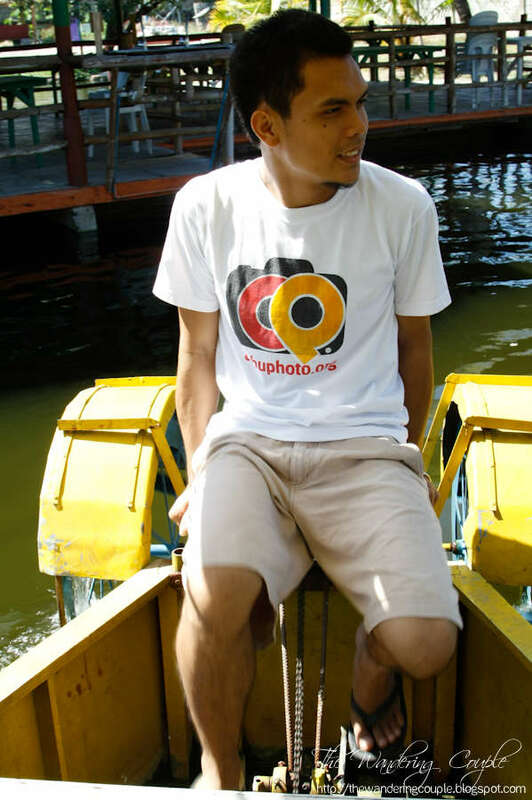 We used two pedal boats, 1 for me, Edcel and her sister and 1 for Edcel’s other 2 sisters and her mother. Minutes into letting the hooks into the pond, Edcel’s sister already caught a fish and another and another while we were getting none! We paddled and paddled and let go of our hooks into the murky waters! 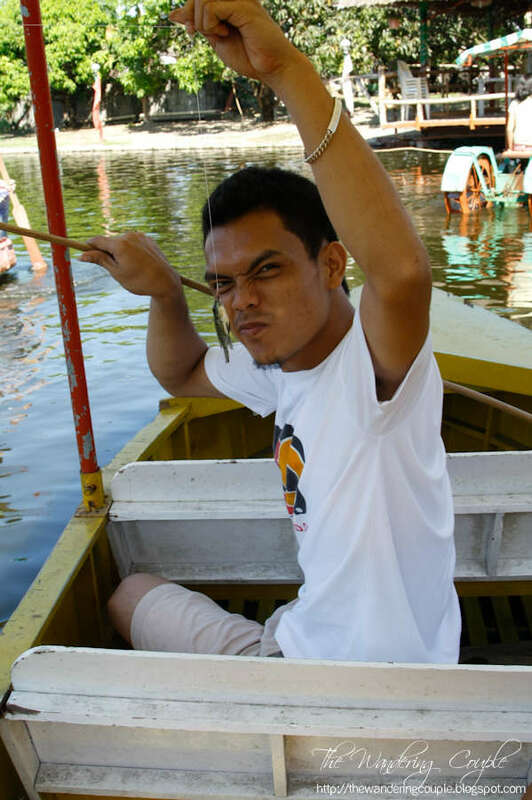 We even resorted to letting go of our hooks into waters where they caught their fishes but we still got zero! 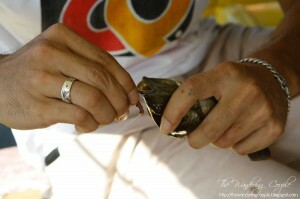 We hear them screaming everytime the get a catch while we were wasting bait after bait and still not getting any fish. 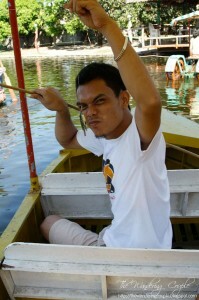 And after a couple of minute of waiting, I caught one small fish! No matter how small it was, it was still a catch! 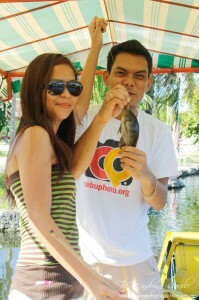 Edcel felt the pressure of catching his first fish as his three sisters and me has caught one. He felt the need to catch a fish before sun down. He patiently placed bait after bait on the hook but still the was unlucky. As time passed by, our catch grew bigger and bigger and in every catch, there were big smiles on our faces! We looked like preschoolers who just got a present from Santa! We felt a different kind of fun! It was hot and humid and we wanted to take a dip in their pool but the thrill of catching that big tilapia was hypnotizing us! All of us felt like anglers from the Discovery Channel or National Geographic. By late afternoon, we have almost caught two pails full of tilapia, so we selected the big catch and let go of the small ones. 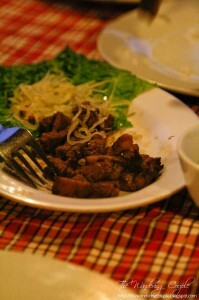 At the end of the day, we paid 180php/kilo for those hooked tilapias and had it cooked for dinner. We opted to have it cooked prito and sweet and sour and we ordered other dishes in the menu as we had second thought on how the tilapia would taste. When dinner was served, it was the moment of truth! And then we ate, tilapia does not taste bad at all. 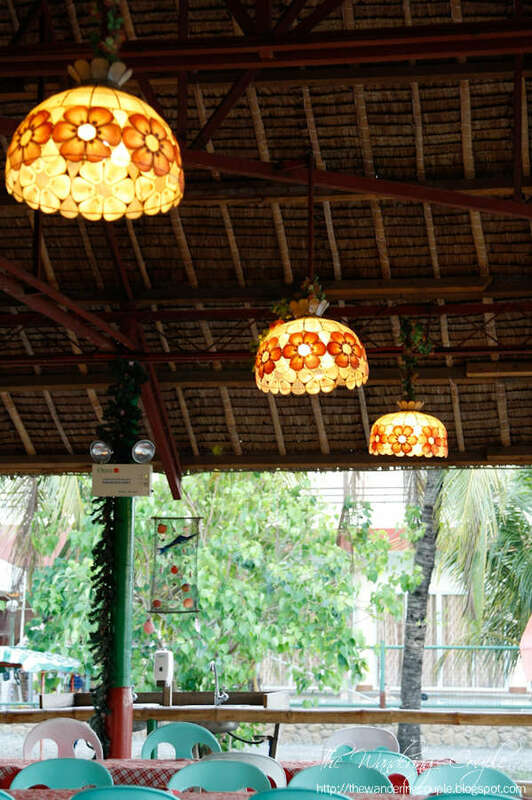 During dinner, while munching on all the dishes ordered, sun has set, sound of water from the man-made waterfalls, we felt so relaxed since there was a live band who’ll seranade all guests with their country songs and jazz. 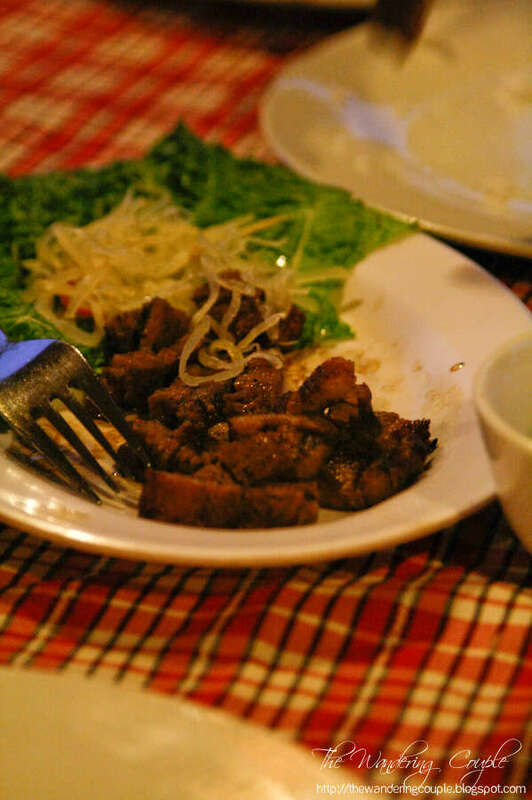 We also had calamares and grilled pork belly. This post is dedicated to Edcel’s stepfather-to-be, Rod Edwards, who passed away last November 3, 2010. This was the last time we bonded. RIP Ron. 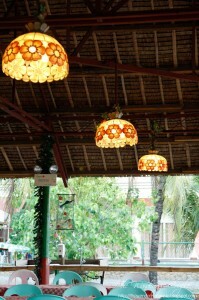 … got to try this place with my family soon. So I had this page bookmarked. wow…a nice place to shoot. more power to both of you. pila ang entrance? ug asa na dapit? pila ang entrance ug pila ang cottage ug asa na dapit inyong resort?